Thomas Priore has served as Executive Chairman and founding member of Priority since August 2005 and recently assumed the role of Chief Executive Officer in December of 2018. Under Mr. Priore’s strategic direction, Priority has emerged from a start-up organization to become the 13th largest merchant acquirer in the US and a leading provider of commercial payment solutions to major global institutions. Prior to dedicating his full time to Priority, he founded ICP Capital, a boutique investment banking enterprise that became a market leader in structured finance reaching over $20 billion in assets under management. From 1999 until 2003, Mr. Priore was with Guggenheim Securities where he founded the Structured Finance Trading and Origination business and managed its Fixed Income Sales and Trading division. Previously, Mr. Priore spent eight years in PaineWebber’s Fixed Income Sales and Trading department, rising to Vice President. Mr. Priore is a graduate of Harvard University and holds an MBA from Columbia University. Thomas Priore is the brother of John Priore, Priority’s Vice Chairman. Michael Vollkommer is a CPA who has over 30 years of financial experience in a variety of industries, serving in executive-level positions within several global corporations after beginning his career at a Big Four accounting firm. From 2001 to 2006 Vollkommer was Executive Vice President & Chief Financial Officer of Certegy Inc., a leading provider of credit, debit, and check risk management services to over 6,500 financial institutions and 100,000 retail merchants. Certegy was spun off from Equifax in 2001 and merged with FIS in 2006. Most recently Vollkommer served as the Chief Financial Officer of Vesta Corporation, a privately-held international provider of comprehensive fraud and payment solutions for online commerce, and before that was the Executive Vice President & Chief Financial Officer of Mueller Water Products. 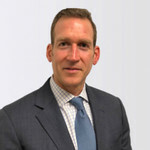 Jeff Stein joined Priority as its Chief Marketing Officer in August of 2018. Stein has a long history in the marketing and advertising industry, as well as being deeply involved in technology and Internet business since the early 1990's. Founder and Creative Director of the breakout interactive design and branding agency - Chameleon - Jeff led the company through a growth arc that resulted in it being acquired by the publicly traded KP:C Greenstone Roberts and saw him made a partner and Chief Creative Officer. 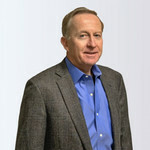 After starting and selling three more agencies over a 10-year span, he then changed course and pursued a path in private equity and technology startups - capitalizing, mentoring and participating in over a dozen ventures in industries ranging from internet gaming and social media promotion to consumer-facing technology for hospitality venues and patient therapy compliance programs for large healthcare concerns. 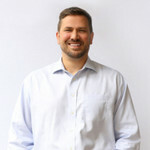 Prior to assuming his position with Priority, Stein was founder and President of the e|tab online ordering platform and a strategic advisor to Priority in the software integrated payments space. Chris Prince has served as Priority's General Counsel since August 2010. Prior to joining Priority, Mr. Prince was Counsel at the international law firm of King & Spalding, where he was a member of the Corporate, Technology and Global Transactions practice groups, focusing on M&A, joint venture and strategic alliances for domestic and international licensing of intellectual property and technology. Afshin Yazdian has served as Priority's President of Core Acquiring since May 2014. He was previously President & CEO of Cynergy Data from November 2013 to May 2014 and joined Priority through the merger with Cynergy Data. Prior to that, Mr. Yazdian served as President of TouchSuite from April 2012 to October 2013 and EVP & General Counsel of iPayment, Inc. from its founding in January 2001 to December 2011. Mr. Yazdian brings over sixteen years of payments experience to Priority's management team, with a background in acquisition and integration strategies and operations. Cindy O'Neill has served as Priority's President of Commercial Payments since March 2017. From July 2016 to March 2017 she worked as a consultant, including providing consulting services to Priority starting in November 2016. Ms. O'Neill previously served as the Executive Vice President and General Manager at Electronic Funds Source from June 2015 to July 2016, leading the growth of its Commercial Payments business through its 2016 sale to Wright Express. From February 2015 to June 2015, she served as Managing Director, Group Head of Cash Management Product, at Bank of the West. From June 2010 to February 2015, she served as the Head of Global Product Management and Region Head of U.S. Commercial Business at Visa. Prior to assuming those positions, she spent 17 years in treasury management, holding leadership positions at Wells Fargo (February 2007 to June 2010) and Bank of America (October 1994 to February 2007). David McMiller has served as Priority's President of Commercial Business Services since January 2015. He previously served as VP of Association and Franchise at Priority since October 2008. He brings over thirty-five years of executive development experience after serving as the Executive Vice President for NOVA and development roles for Uptons and Kohl's.